Nottingham based national sign retailer Archer Signs had a bad experience when their previous design company with unforeseen extra costs and a delayed catalogue production. After a recommendation they contacted the ‘catalogue design experts’ – Andrew Burdett Design. After a brief meeting to discuss their requirements we produced a ‘sign catalogue design’ quote and once this was approved we started work on their retail catalogue design concepts. We worked closely with both their marketing team and production department who supplied the sign artwork and copy. Andrew Burdett Design worked on all stages of their sign catalogue design production, from initial page planning thorough design, proofing (both pdf and chromalin) and to final print. 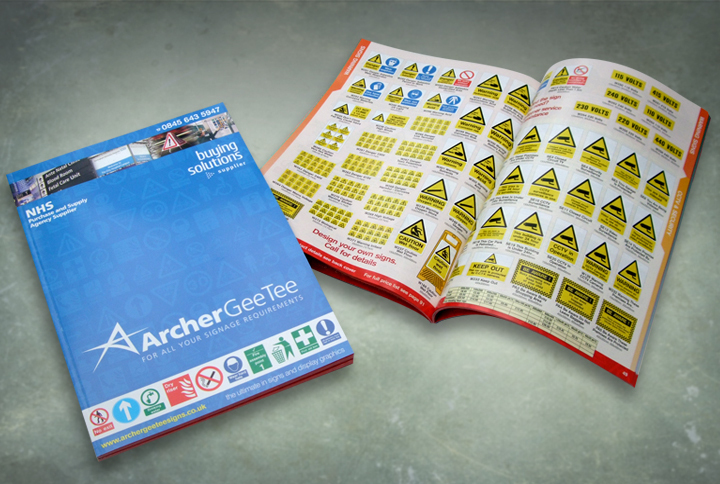 They were so please with the result, we went on to produce a further catalogue for sister trade company “Archer GeeTee Signs” and have since worked on all their design, print and websites. We have produced thousands of catalogue since we were established back in 1999, and are experts in catalogue design, catalogue production and catalogue print. Check out our testimonials page top see what our clients think of working with us. 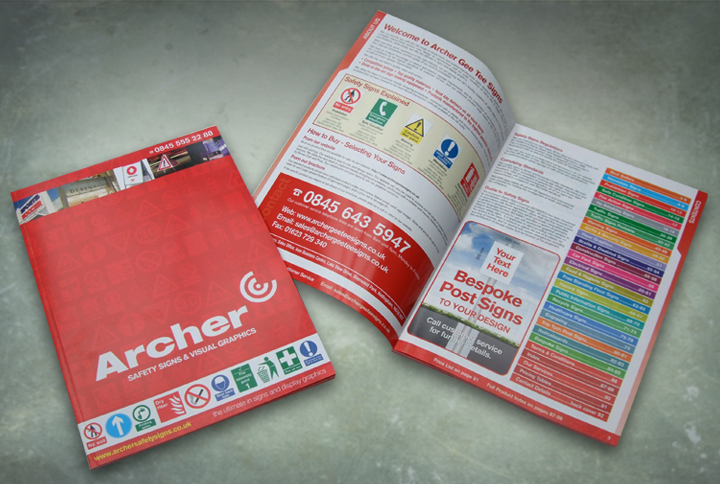 Whatever your catalogue design and print requirement, we can help.